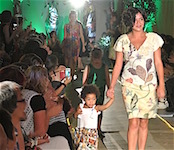 Local creations delight big crowd at a fashion parade. Next year local production may take a further giant step. ERWIN CHLANDA reports.